As the Gregorian calendar year enters the fourth and final quarter, China’s economy appears to be facing turbulent weather. However, China’s trade with the outside world gives hope that growth has not slowed so much till this moment. Data from September showed that producer inflation has slowed down for the third month in a row. The producer price index grew by 3.6% from one year earlier. It is slower than August data when it recorded an increase of 4.1%, according to reports from the National Statistics Bureau. This index depicts growth or contraction of economic activity in the production sector. The slowdown reflects the concerns that the mounting tariffs imposed by Trump administration may have finally taken their toll on the Chinese economy. China has retaliated against the tariffs with the same, but the effects remain limited. On the other hand, the consumer price index was pegged at 3%. This was in line with the government’s target. 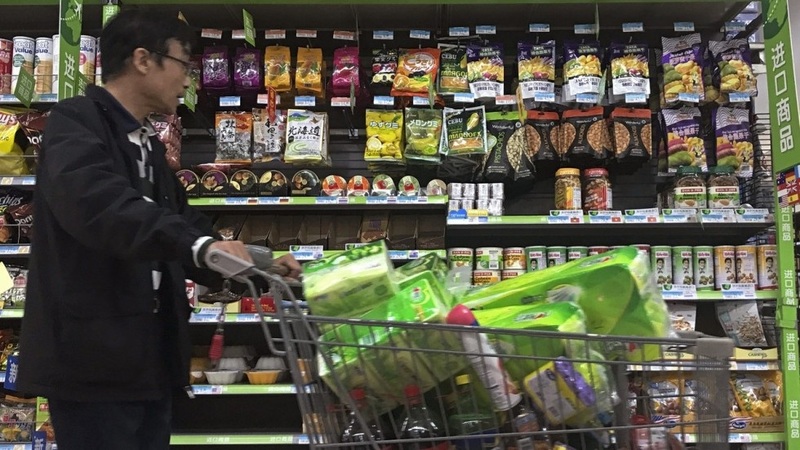 Factors underlying the rise in consumer prices included an increase in food prices, driven in turn by harsh weather conditions and advent of the Golden week festive season. An indicator by Bloomberg which aggregates data related to economic activity from many sources has indicated that the economy is getting weaker in many respects, such as factory inflation tracker, sales manager sentiment, and smaller business confidence. To stimulate growth, the Central Bank of China is expected to adjust its monetary policy into a more dovish one. The bank aims for a growth rate of 6.5%. Governor of the bank has recently stated that risks from the bilateral trade dispute are significant and that to deal with those risks, the bank may tend to adjust its interest rate and banks’ reserve requirements ratio. There is “plenty of room for adjustment”, according to Yi Gang, the Central Bank’s governor. Over the past year, the bank had already decreased the amount of reserves required for banks for the fourth time this year, in order to boost liquidity and consequentially growth. Chinese exports to the outside world did not reflect the same sentiment as observed in the slowing producer price index. In September, China’s exports grew and printed a record high trade surplus with the United States. They rose 14.5% on an annual basis. This was also higher than the growth of 9.8 witnessed in August, and turned out to be the highest since February. One of the factors that could have contributed to this increase is the depreciation in the Renminbi, prompted by the rate hike by the Fed, which made the US dollar stronger. Undoubtedly, growth in Chinese exports is not something that the Trump administration is amused by, especially following tariffs on $200 billion worth of Chinese goods. Speculation remains about whether this increase in exports is good or bad. One theory (called front loading) posits that producers have ramped up their shipments before tariffs take effect, and thus a weakening in exports may be expected on the medium or longer term. Other theories put more emphasis on the resilience of the Chinese economy. An analyst who believes that increase in exports is because of front loading has noted that there has been an increase in the number of electrical machinery (which is the biggest Chinese export item) to the US. However, customs data also revealed that exports for textiles, furniture, and chips, have increased. China’s trade surplus with the US reached $225.79 billion in the first 3 quarters of the year, which is higher than $196.01 billion achieved in the same period last year. Imports, however, showed a mild slowdown. In September, imports grew by 14.3% in comparison with 19.9% in the previous month. China achieved a surplus of $31.69 billion, which is higher than the $27.89 billion. Despite this, many analysts believe that this growth will cool down in the fourth quarter with faltering domestic demand and global growth. To help counter concerns of slower growth, the government has pledged to increase export tax rebate from the beginning of November and has vowed to reduce corporate tax burden on a larger scale to give a boost to sluggish businesses. 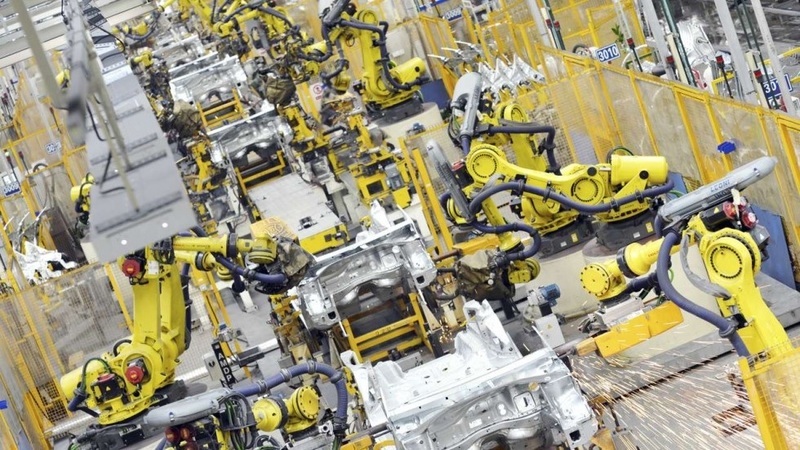 Data from the manufacturing and the production sectors shows that the Chinese economy may be beginning to feel a pinch. Temporary events such as weather and festive times may have boosted the demand for food and caused an increase in prices, reflecting on the consumer price index. Economists and analysts are quick to consider a slowdown in PPI or any other indicator as an effect of the trade dispute. However, this assumption needs to be examined further and may be an oversimplification. China’s trade surplus with the world grew further in September and shows a different sentiment in the economy. The government in Beijing has no shortage of tools in its arsenal to counter faltering growth. They have used some of those tools in the past and they are willing to use them in future. This can address many of the concerns related to growth.